Targeting ads against demographics and interests is a great way to drive top-of-funnel awareness, but Custom Audiences allow you to push consumers who engage with your brand closer to converting. In fact, conversion rates were almost four-times higher for campaigns that used Custom Audiences compared with those using demographic targeting alone. One-off campaigns using Custom Audiences can be extremely effective. Where Custom Audiences really shine, though, is in their ability to help you push a lead down your marketing funnel one step at a time. Jon Loomer, the Facebook advertising expert, has written that his foolproof, repeatable way of creating a Facebook advertising campaign is to grow his Custom Audiences and then convert those users into subscribers or purchasers. Using a similar approach, we’re going to show you how stacking Facebook Custom Audience campaigns can create an automated lead-nurturing campaign that drives awareness for your brand, isolates consumers that are likely to convert, and then goes in for the kill. Customer File: Email, Phone Number, Mobile Advertiser ID, First Name, Last Name, Zip Code, City, State/Province, Country, Date of Birth, Year of Birth, Gender, Age, Facebook User ID, Mailchimp Email List. The first type of Custom Audience is a customer file, or a good old-fashioned spreadsheet with your internal customer or subscriber data. Any combination of the above categories would work. The more data you have on file, the better. For example, one of our clients has an email list that is more than 80,000 subscribers strong. When we uploaded just the email addresses to Facebook, we had a customer match of 12,500 users. However, when we uploaded the .csv with email address, first name, last name and zip code properly organized for each user, Facebook was able to match 65,000 users. Want to leverage your email list in other ways? Facebook Custom Audiences are just one of seven ways you can target advertising to someone online using their email address. Website Traffic: Visitors to your website—the entire site or individual pages. Or people who haven’t visited in a certain amount of time. Anywhere from 1 to 180 days ago. In order to create a Custom Audience of people who have visited your website, all you need to do is add a Facebook retargeting pixel to your site, either with the help of a developer, Google Tag Manager or WordPress plugin. Once this is live, Facebook will track all the people who visit your site and match them with their Facebook profile. Engagement on Facebook: People who have watched your videos, or opened a lead generation ad. Facebook counts a video view after only three seconds of watching. When creating a Custom Audience from video viewers, you can isolate the users that have watched at least 25%, 50% or 75% of the video. App Activity: Facebook app users. 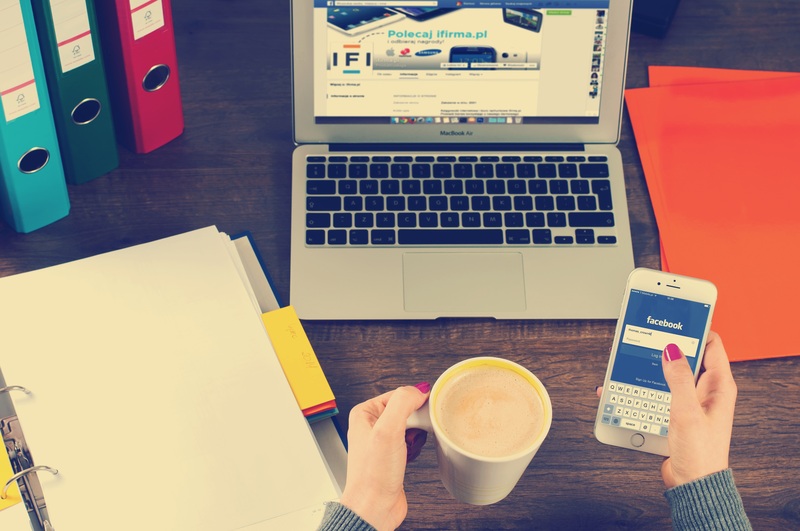 Facebook apps aren’t usually a key part of the social marketing mix, but if you happen to have one, you can target users of your app with Custom Audiences. To drive top of funnel awareness, start with a large demographic, interest, or lookalike audience. At this stage, it’s important to promote a piece of content that you can create a Custom Audience against—meaning, track who has engaged with your post and re-target them with a follow-up. This means you should start with either a video or blog post, since you can’t create a Custom Audience against an image, text, or event post. Video, in particular, is a good asset to use at this stage. Cost-per-view and cost-per-impression rates tend to be much lower than cost-per-click rates on Facebook, so you can build a larger custom audience for less money by promoting a video to start. Go ahead and create your first Custom Audience from users who viewed at least 25% of your video. They’ve demonstrated interest, and are thus more likely converters than the typical user. At this stage of the buyer journey, we recommend promoting a series of blog posts against that Custom Audience of video viewers. Blog posts pose a slightly higher barrier to entry, by taking users out of the News Feed, so they’re a good test to gauge users’ interest in your messaging. If they stick with you, you’ve got a likely customer. At this point, you can create a new Custom Audience from the people who read your blog posts promoted in step two. As of summer 2016, you can even isolate the readers who spent the most time on your site within this segment—pretty cool. After both watching the video and reading a blog post on your site, the user has shown a significant amount of interest in your product. At this point, hit them directly with a lead generation ad, drive them to a landing page, or try to sell something directly. As you can see, there are dozens of options for stacking Custom Audiences. Our biggest piece of advice: no matter how you stack, keep in mind the customer journey, A/B test consistently and monitor your ROI.